So You Got Your Blue Belt, Now What? It’s a known fact that after attaining the BJJ blue belt many people eventually drop out of BJJ. It may be because of a drop of interest after attaining a first goal, life getting in the way or some other reason. This article from BJJ.ORG highlights the next steps that you should do after attaining this first landmark and how to go forward in your Jiu-Jitsu journey. So, what happens to a person that makes them lose the thought of quitting and stay in Jiu-Jitsu through black belt and beyond, what can blue belt students do to maintain focus, and how can instructors create an environment that helps eliminate the blue belt turnover rate? To help answer this question, I got into contact with Dr. Ernest “Waffle” Ellender, a Dave Camarillo black belt, gym owner, and practicing psychologist (PhD in clinical psychology.) He had a lot to say on the topic, so I’ll break it down into easily digestible bits. 1. When someone first starts doing Jiu-Jitsu, they enter a sort of honeymoon period. As a white belt, there are hundreds of new techniques to learn, and this can make for a very interesting and engaging environment, this helps create a sense of novelty and excitement. After they reach blue belt, the honey moon period starts to wear off. 2. 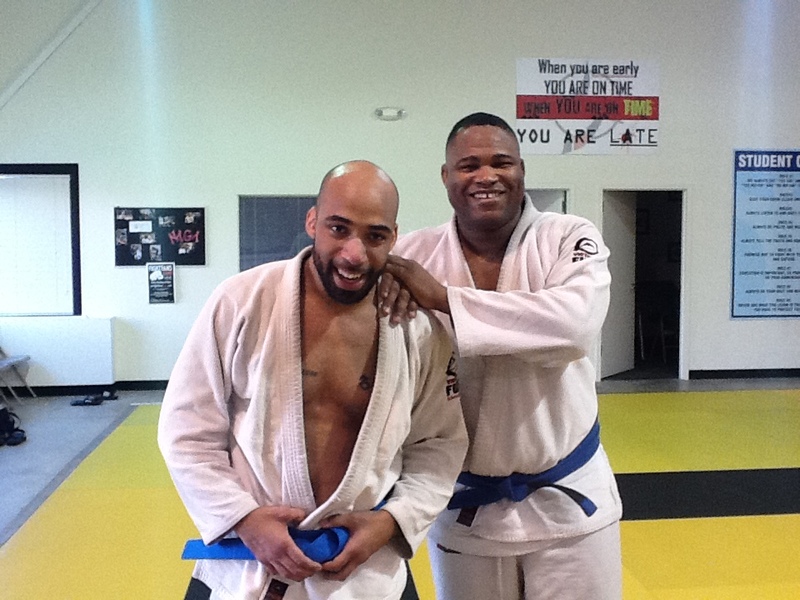 After a student reaches the blue belt level, they experience an emotional drop. They still understand the benefits of attending BJJ class, and their body is in a habit of going to Jiu-Jitsu. The emotional drop is the issue that a lot of blue belts have to deal with. 3. Social engagement is incredibly important for consistent training. The issue that some blue belts run into with this is that, through attrition, there might be only a few people left of their original group that are still active in BJJ. Blue belts have to remain engaged with new members and higher belts in order to create an environment that nurtures their interest.